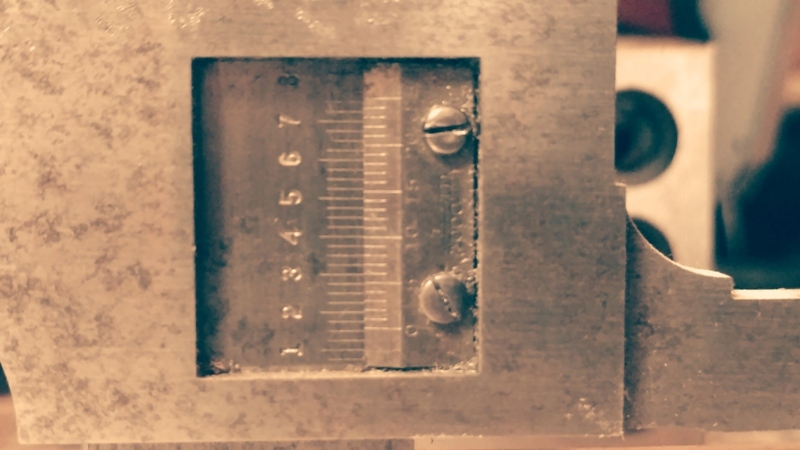 Well, I was using my c-clamps with the slide scale 1/128th ruler. 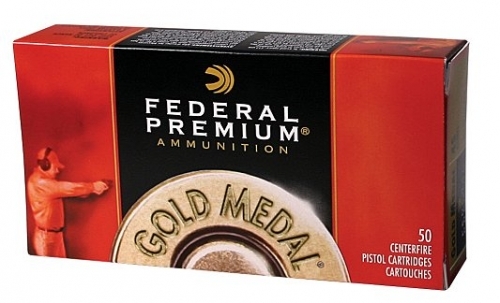 The Federal Rep told me yesterday that there is no performance or dimensional difference between ammo packaged in either the white or the gold boxes. He said that it was determined by which the customer wanted. When questioned about COAL differences he told me that the COAL was determined by the SAAMI specifications denoting 1.190”-1.275”. However I noticed in the match .45 auto the COAL requirements were 1.140”-1.255”. He also told me that forums were a bad place to get info from. He also advised that this ammo had not been made for several years. We are talking about the Federal 185 Gold Medal round, correct? James Yes, and that was what I was told by the Fed Rep. He seemed sort of evasive when I tried to get him to divulge what internal info they used they used to determine best accuracy/precision. I shot that same bullet last weekend at a COAL of 1.235 and it showed same symptoms that you experienced. However that was in a gun that had just been re=builtand was exceptional tight. 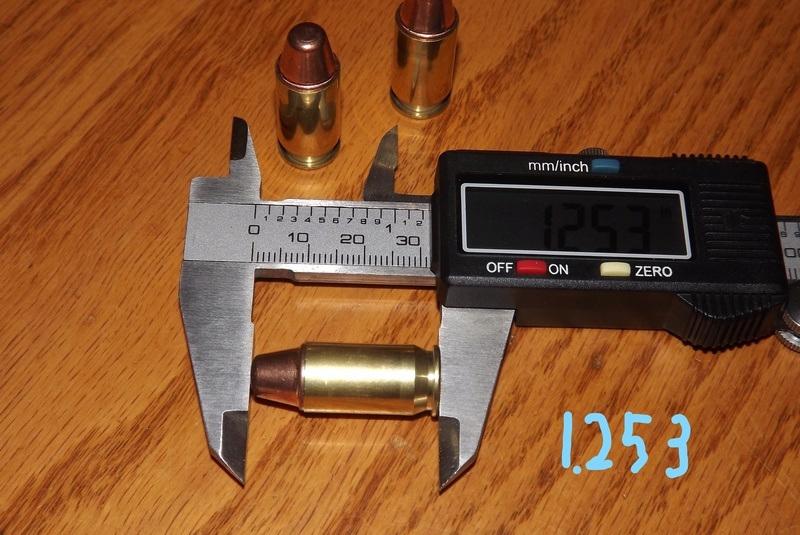 Dave: I have shot that very same bullet in most of my guns and have gotten by with a COAL of 1.250". I shot a 22 league Wednesday, and ended up not making it to the range today. I'll probably shoot my 45 Sunday, and try the reloads I have that measure a hair shorter to see what happens. If I have time, I'll load some out to 1.230-1.250 and see what that does. On a side note, am I to understand they haven't produced Federal Gold Match 185s in a few years?!?! Poor representation of Federal products by that sales guy. His statement was that it had not been made for several years and could become unavailable for some time. We can't be discussing the same thing. I'm talking the Gold Medal match bullet currently available. Yes Sir, James, I am talking about the same bullet. 1.16 stem to stern. Those are great bullets. Unfortunately a tad pricey for my budget. Also, I am about 1 shade short of being "legally blind". My 1" groups at 20 ft & 30 ft are about 4" at about 21 ft. I probably should be stuffing rocks down my barrel. Scoped SA CS TGO1 coming up shortly. james r chapman wrote: We can't be discussing the same thing. I'm talking the Gold Medal match bullet currently available. I have a vernier calipers for guys like you! I haven’t seen a very-near in years. I never developed a trust in digital measurement tools, and owned and used all vernier type tools. There again my eyeballs worked in those days. Not so much now. Reliable digital calipers cost $$. Even the cheap dial calipers work consistently. But neither will match a mic. Soft, almos pure lead cast bullets do it in my gold cup. The nose sticks on the feed ramp. The head to shoulder .947" puts this 200 gr Lyman BB into my series 70 Gold Cup rifling. That looks like a lot of shoulder exposed. What's the OAL? Mine measure. 927 to the shoulder right now. Does the .947 give you reliable feeding? Mine are a little longer but the bullet profile might be different. I also had to polish the ramp around the sharp edges on the side of the ramp. 100% reliable now. COL is 1.263" LYMAN 200 gr bevel base. To shoulder of current batch is .946"
I measure to the shoulder because different alloys change bullet length, base to nose. Yes , i get reliable feeding, except when the casting alloy is near pure lead. Extractors- may cause feeding problems. 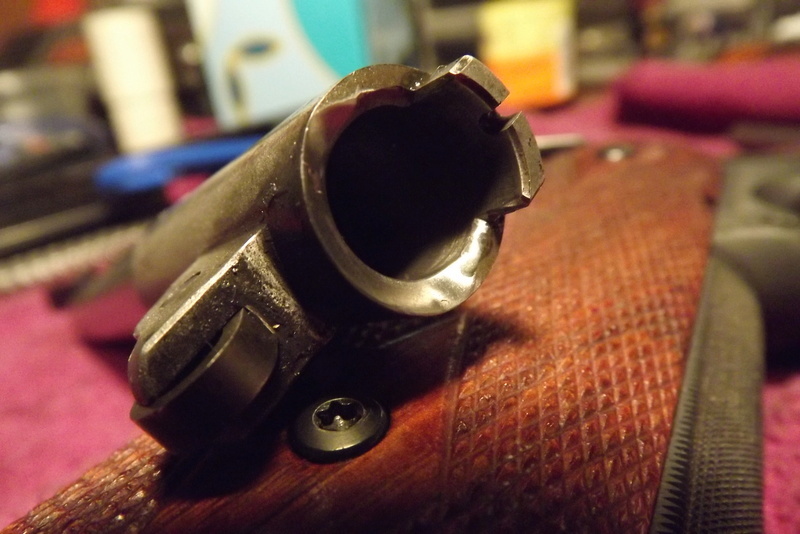 The rim/case head must slide up the bolt face freely as the round moves out of the magazine and under the extractor. Rim diameter- if large then .480" the round may not slide up the bolt face of some 1911s , freely. Wobbley wrote: I haven’t seen a very-near in years.